You come from 扎伊尔/刚果民主共和国, Zaire / The Democratic Republic of the Congo. And other African brothers, Arabian brothers, and brothers from anywhere, contact with me, please! We had lived in Building No. 19 for more than one year. Excuse me for spelling mistakes in your names in English, please! 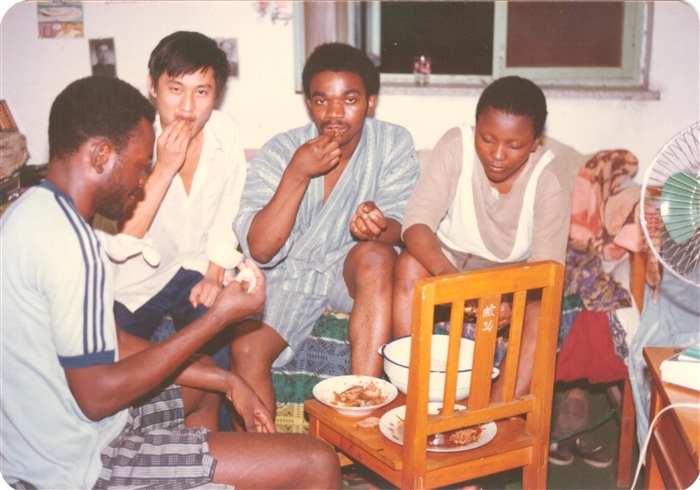 We were eating an African meal together in summer 1984. 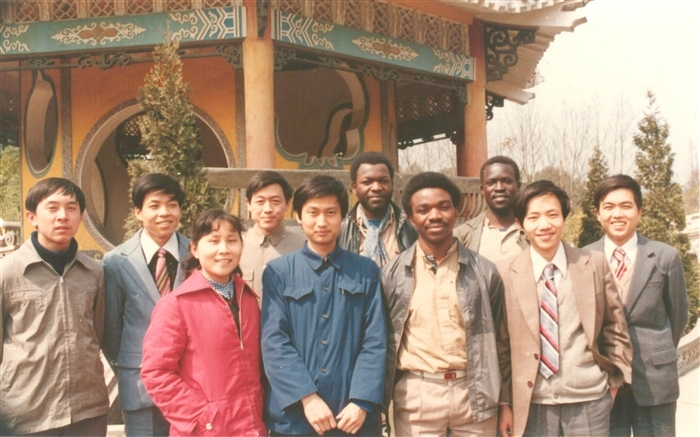 We were in Wuhan in March 1985. “Yang”, usually you called me.